Tender fraud and corruption are probably endemic throughout the world but a case has recently been unearthed in Malta that is so diabolically clever, so deviously contrived that it makes the various SAA, SABC, SANRAL and other cadre-deployment shenanigans seem blunt and clunky in comparison. The site and subject of the scam is the St Vincent de Paul Residence (SVPR), an example of what we in SA would call an old-age home. On the Maltese government’s Active Ageing website, SVPR is described as a hybrid between a nursing home and a hospital. With a total population of over 1,100 residents, emphasis is made on supporting the activities of daily living giving particular attention to nutrition, mobility, personal hygiene and social and spiritual activities. The multidisciplinary healthcare professional and non-caring staff manning the residence accounts to a population of 1,090 employees. The residence is a public funded entity, with the residents’ contributing 80% of retirement pension and 60% of other income. A South African's guide to moving to and making it in Malta: Who wants to live forever? Two parties submitted bids. ‘Bid Lose’ (a JV called CCV) was for €38 million. ‘Bid Win’ (a consortium including James Caterers, Malta Healthcare Caterers Ltd and a subsidiary owned by the shareholders of the db Group, a Maltese listed company in the hospitality and leisure industry in general and – spoiler alert – property development in particular) was for €58 million. Can you see the first twist coming? Bid ‘Win’ was named the preferred bidder – because of their ‘additional investment’, and what a spectacular gift it was! Over and above providing meals (breakfast, lunch and supper) for the nearly 2,200 residents and staff (remember this was a catering contract after all) the winning bidder proposed to build a new 500-bed facility to the value of €30 million. Consider then the numbers: Win offered a €30 million gift that was more than 50% of the value of their €58 million catering bid and would be increasing the capacity of SVPR by a nearly equal percentage (from 1,100 beds to 1,600 beds). Poor ‘Loser’, this was a case of the ‘Winner’ using a steamroller to crack a nut. The Family Ministry has, so far, failed to answer questions on what will happen during the term of the contract. Questions to Parliamentary Secretary Anthony Agius Decelis on whether the winning consortium would be paid for the extra meals necessary to feed the 500 new residents and hundreds of new personnel to run the extension remain unanswered. The government has also still to say whether it will be ‘leasing’ the new facility from the James Caterers/Malta Healthcare consortium during the 10-15-year term of the contract. Who will manage the new facility and who will employ the required carers also has still to be established. Camilleri joined the dots in spectacular fashion earlier this month by uncovering the management contract for the new facility. Not put out to tender, the contract was given as a ‘direct order’ to ‘Bid Win’. The value of the contract – a staggering €272 million! At over a quarter of a billion euros, this is the largest direct order in Maltese history. In a surprise ending worthy of Roald Dahl, it now transpires that the direct order was signed before the result of the tender was announced. It’s feasible to interpret that the whole tender process was mere set dressing for a backroom deal script that had been written beforehand. 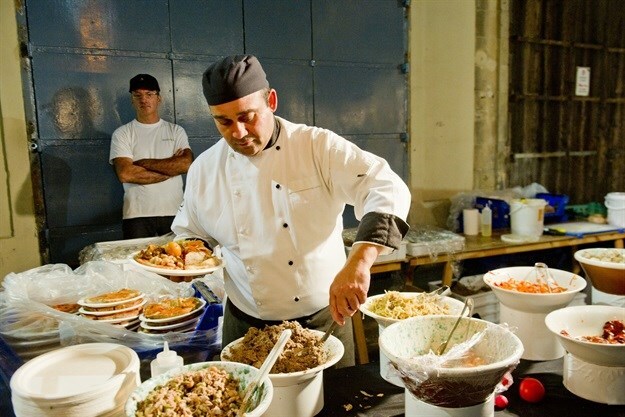 Instead of paying €38 million for ‘Loser Bidder’ to fulfil the requirements of the 10-year catering contract, Maltese taxpayers will now be forking out €330 million (‘Win’s’ €58 million catering bid + the €272 million direct order). So, that’s €330 million to be spent in order to receive a ‘gift’ (the 500 bed wing) valued at R30 million. Steal a million? I undersold the premise – this is how to steal a quarter of a billion euros! The irony is it’s not even clear whether Malta needs another 500-bed facility in the first place.